The City of the Courageous awaits you! Historical Route: Discover the Old City and see Muslim Valencia through the remains of the wall. Visit La Lonja de la Seda y los Mercaderes (the Silk Exchange building), Serranos Towers (which preserve the evidence of cannon fire from the War of Independence), the Cathedral...and, if you have time, try to cross the 19 bridges over the Turia River. The well-known Spanish phrase “Being on the moon of Valencia”, meaning to be distracted, comes from when the city was surrounded by a wall. It was referring to those who found themselves outside the wall after closing time. Cultural Route: the city boasts more than 50 museums and exhibition halls. We recommend the Museo de Bellas Artes fine arts museum and the Almoina archaeology museum where you can see what the city was like from Roman times through to the Middle Ages. If you're seeking scientific information and entertainment, check out Ciudad de las Artes y las Ciencias (City of Arts and Sciences). If travelling with children, they’ll love the Iber museum of tin soldiers. It's the largest museum of historical miniatures in the world. If you prefer to see amazing animals, check out the Oceanogràfic, one of the world’s largest dolphinariums. Green Route: Explore Parque Natural de la Albufera, the nature park which means “little sea” in Arabic, the Marjal de Rafalell y Vistabella marshland, or cycle through the Valencian farming fields. The city has a large number of parks and gardens and a visit to Malvarrosa beach is a must. You can’t talk about Valencia without mentioning the Fallas, its most traditional festival known throughout the world. The city fills with mascletás (spectacles of noise, smoke and colour) from 1 March and the festival ends with the nit del foc (Night of Fire) and its spectacular fireworks. This festival is a popular tourist draw because it has become a festival of International Tourist Interest. The city is also known for its Maritime Holy Week, the Battle of the Flowers and the Diada (Valencian national holiday). For these dates we recommend booking your stay at a hotel in Valencia in advance. And after all this we’re sure you've worked up an appetite. Luckily for you, paella hails from Valencia and this is the best place to try it! Other typical dishes from Valencia include all i pobre, made from eels and recommended only for the most daring, and esgarret (red pepper and cod salad). Local desserts include the Casinos marzipan of Arabic origin, panquemado cake and fartons, a kind of sugared ladyfinger. 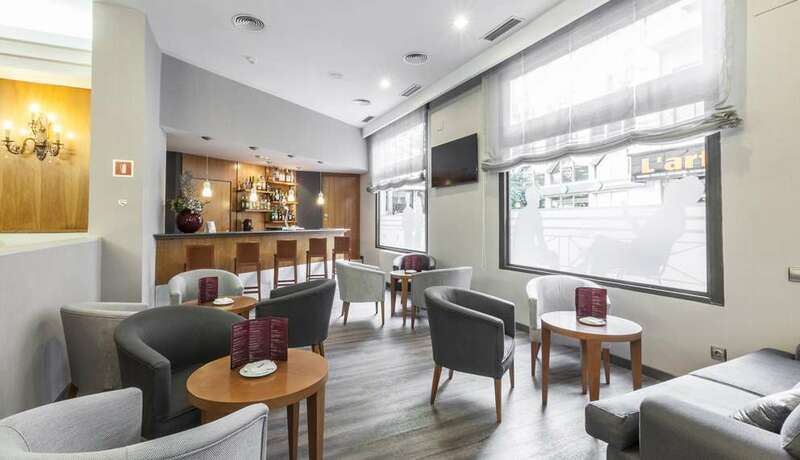 This fantastic hotel is located in the centre of Valencia next to Plaza del Ayuntamiento and near the historic centre. It is also well connected to the Conference Centre, the Exhibition Centre and Manises Airport. 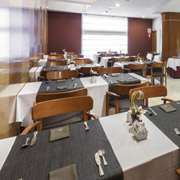 It is situated in an emblematic building ´that dates from the mid-20th-century. 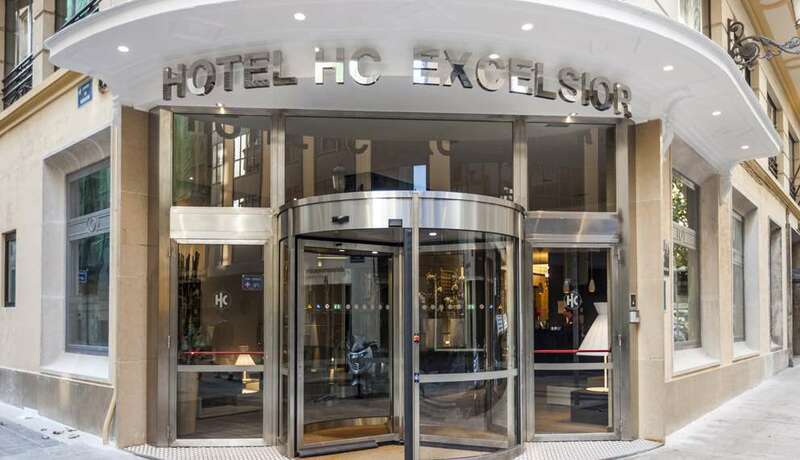 It is a welcoming hotel and very practical for stays in the city. There is a free WiFi connection everywhere in the hotel. The rooms are exterior and fully furnished. The advantages offered by the hotel make it the perfect accommodation for tourism and business trips. 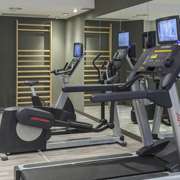 At the elegant Catalonia Excelsior in downtown Valencia we offer all the amenities to ensure you have a good stay at our hotel. 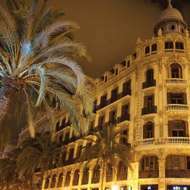 The hotel is in a great location in the heart of Valencia next to City Council. The rooms have comfy beds and free wifi so you can wind down after a day visiting the city for leisure or business. 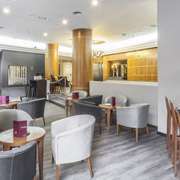 If you fancy something to eat, the hotel bar has a varied range of dishes or, if you prefer, we can take your order to your room. In the morning we’ll make you a rich buffet breakfast that will set you up to take on the new day. Very close to the Catalonia Exelsior is Valencia Cathedral and Central Market, a modernist building where we suggest you try Valencian dishes such as "esgarraet" (grilled red pepper and cod salad). Next door is the Lonja de Seda, thus called because it was the place where silk (seda) was sold through to the 18th century. And if you want, visit the Oceanogràfic, part of the City of Arts and Sciences of Valencia, where you can discover a whole underwater world. If you’re travelling with kids especially, they’ll be amazed. And from El Micalet (the cathedral bell tower) you can take a beautiful photo of Valencia...so long as you’re willing to climb the 207 stairs! There’s loads to see around the city of Valencia, too! Ask our hotel staff to help you with anything you need. A walk around the historical centre of Valencia will reveal a large part of its history. You have more than 15 points of interest to take in. You can see it all from our hotel in Valencia close to the main square. 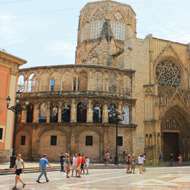 Also called Santa Maria de Valencia, work on the cathedral began in 1262. It contains paintings by Quattrocento (15th century, early Renaissance) that are among the first and best anywhere in Spain. Inside the City of Arts and Sciences, the Oceanogràfic is the largest aquarium in the European Union. It is home to dolphins, walruses, crabs and even penguins! Plus there are outdoor activities such as boating and kayaking. 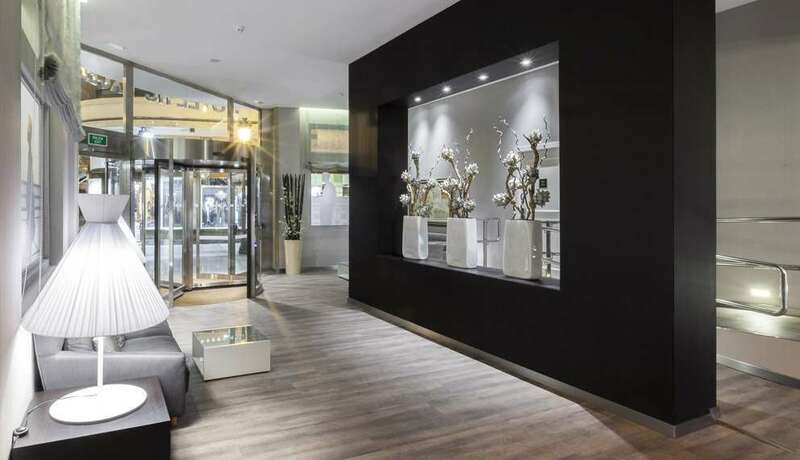 You have an extensive catalogue of hotels to make your visit to Valencia an unforgettable experience.